Driving through the old town of Junagadh towards an ancient Buddhist cave gives the impression that the faded façades of old houses and havelis on the way have trapped the place in a time warp. You cross numerous maqbaras, mosques and ornate buildings showing its rich historical past. 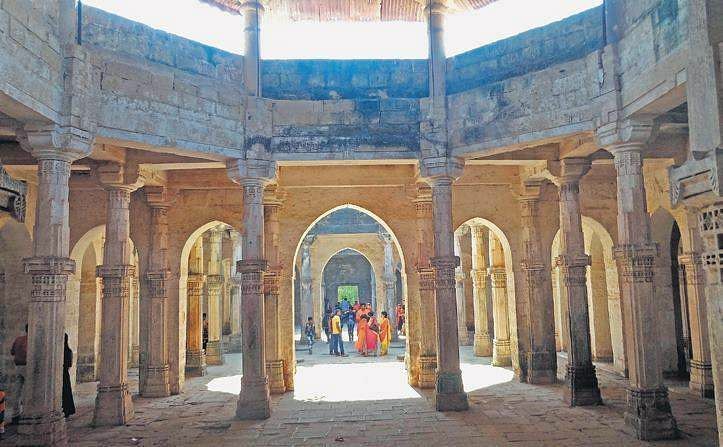 ‘Junagadh’ literally meaning ‘old fort’ lives up to the antiquity of its name: there are old forts, mausoleums, caves and ancient temples scattered across the town that gives a sepia tinge to travel. The ancient town is an amalgamation of religion and culture, evident in its historic architecture. Its history stretches from the invasions of the Greeks (Alexander’s foray in India), the expansion drive of the Mauryas, Chudasama Rajputs, the Gujarat Sultanate, to the Babi dynasty nawabs under the Mughals. 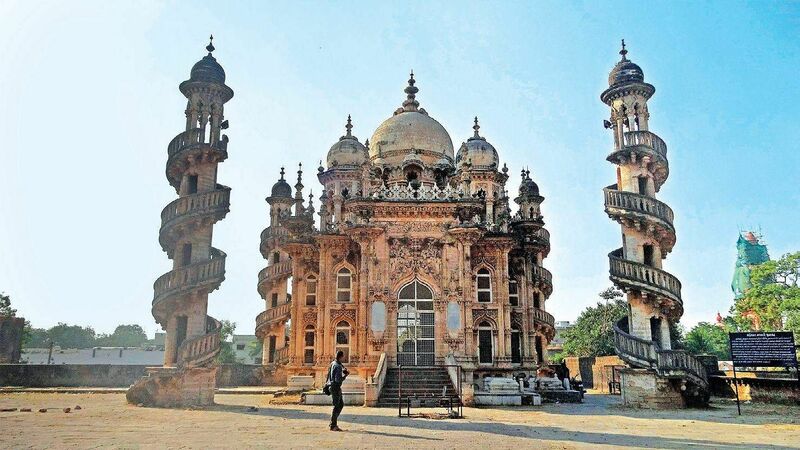 The tastes of Junagadh’s various rulers have influenced its architectural landscape. For history buffs, this makes a compelling reason to visit. 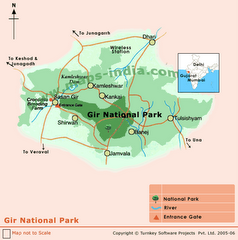 Vertical thrill seekers are assured of an adrenaline rush by climbing the 9,999 steps from the Girnar Taleti to the Girnar Hills; the highest peak in Gujarat. Hailed as an important pilgrimage site for both Jains and Hindus, it takes a hardy pilgrim and ample devotion to undertake the climb. While on a quest to explore the earliest of the three Buddhist caves dating back to 3rd-4th century AD, you have to tread a bit cautiously through narrow roads of the old city. The caves tell their own stories: while buying a ticket to enter the Khapra Kadiya caves protected by the Archaeological Survey of India, the ticket seller informs that its latest claim to fame is that a Bollywood horror film was shot there. The other two cave groups, Baba Pyare caves are in Uparkot fort. 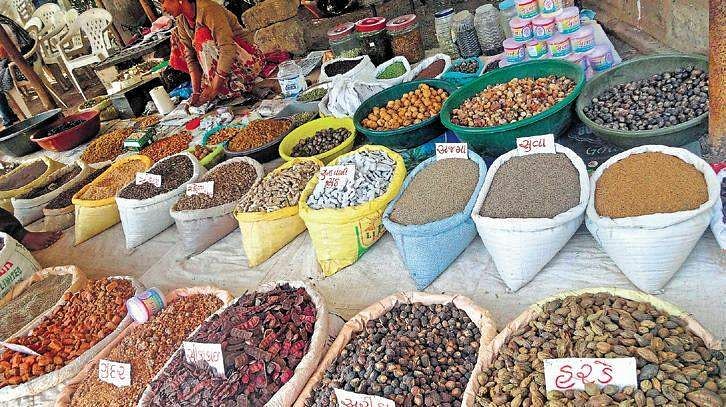 Junagadh is heaven for spicing up life: local vendors can be seen selling mounds of spices. They supposedly come from Goa by sea and are fresh and reasonably priced. Spice shopping done, take a stroll to the ancient fort of Uparkot built during the reign of Chandragupta Maurya in 319 BC. You could peep through telescopes for just `10 to pay long distance obeisance to the revered Amba Mata temple and Gorakhnath temple. Entering the ornate triple gateway of Uparkot which is built on a plateau, the first sight you come across is a large cannon, still watching over the city. The fort was besieged 16 times but has never been taken. As you pass the Damodar kund, don’t miss a white building that houses Ashok Lekshila—a boulder carved with the edicts of Emperor Ashoka in Pali. Though hunting was a royal past time of that age, Junagadh had its own green king: its last nawab Mahabat Khan III was an animal lover. Thanks to his efforts the Asiatic lions have survived in Sasan Gir forest since he had banned hunting and declared the area a protected forest reserve. 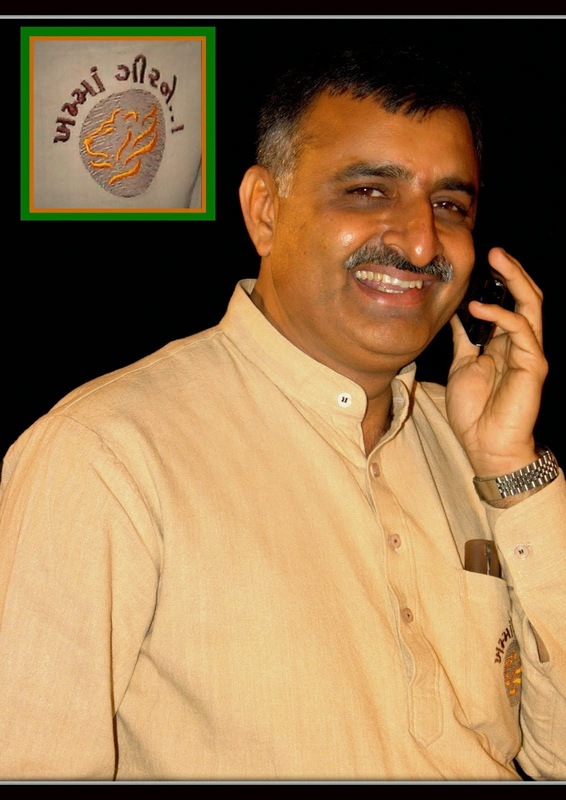 Credit also goes to him for breeding fine Kathiawari horses and the Gir cows. Now the kings are gone, but the past lives on. Veraval (83 km from Junagadh) is a coastal town with a bustling port and one of India's leading fishing centres. Somnath (87 km from Junagadh) The historic Somnath temple stands in a beautiful garden on the beach. It houses one of the 12 sacred Jyotirlingas and sacred to Shiva devotees. 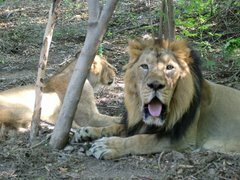 Sasan Gir Wildlife Sanctuary (80 km from Junagadh) The last home of the Asiatic lions makes for a wonderful wildlife experience. You require a prior permit to enter the sanctuary.